QSL card from the 70s The presence of Soviet troops and the measures that were introduced afterwards in all areas of public life made it clear that supporters of the pro-Soviet line were in the ascendancy, and the battle for the character of the Czechoslovak state had been lost. There began two decades of oppressive rule described as "normalisation." The Communists established a Department for Press and Information, whose first decree speaks for itself: "Do not broadcast anything that could be construed as being critical of the Soviet Union or the countries of the Warsaw Pact and their armies. Do not use the term "occupation" when applied to Czechoslovakia. Do not publicise the actions of the U.N. Security Council. Do not broadcast information about damage caused by the presence of Soviet troops, or any information about deaths or injuries." 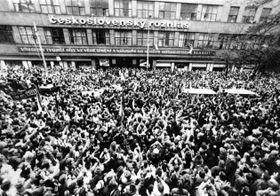 Those who were active during the Prague Spring soon found themselves thrown out of their jobs. 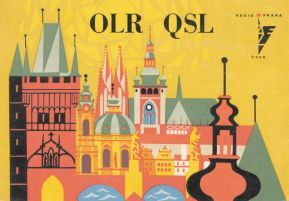 QSL card from the 70s By 1970 several hundred people had already left Czechoslovak Radio, most of them voluntarily. Radio Prague was one of the worst affected: of 350 employees, more than 150 people left. Others were sacked in the early 1970s. Almost all senior employees were replaced. So-called "Personnel Sections" were responsible for ensuring that only "politically reliable" members of staff found their way to senior positions. Between 1968 and 1970 Radio Prague experienced numerous organisational changes, to "ensure that the international service becomes an effective tool for promoting the interests of the Communist Party and the socialist state in these new conditions." The changes mainly concerned strengthening the centralisation of control over both management and programme output. Journalists lost the precious little artistic freedom they had enjoyed in the 1960s. Many programmes and songs were blacklisted. A monitoring department was added to Radio Prague, under the direct control of the Central Committee of the Communist Party. 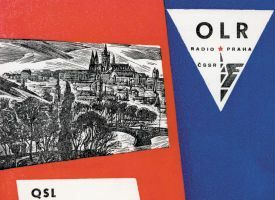 The department monitored the Czech-language programmes of foreign stations which broadcast to Czechoslovakia, primarily Radio Free Europe, Voice of America and the BBC, and produced overviews of these broadcasts for senior party and government officials. 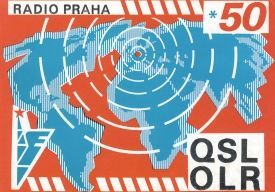 QSL card from the 70s 1972 saw the creation of "Radio Prague Interprogram" - a specialised multilanguage programme aimed at Western Europe. The programme consisted of five hours of music, interrupted every 15 minutes by news in Czech/Slovak, German, French and English. Later the programme was extended and news in Russian added. Interprogram broadcast on short and medium wave, and from 1976 also on FM, so it was also easy to pick up inside Czechoslovakia. Because of its heavy music content, many Czechoslovaks listened as well, even though Interprogram was intended mainly for foreigners. A gathering of Prague citizens and Czech Radio employees in front of the radio buil- ding in November 1989 to demand The international service grew steadily in the 1970s. In 1970 Radio Prague was broadcasting 29 hours of programmes per day, by 1978 the figure had risen to 37 hours. The number of letters arriving at Radio Prague also grew steadily. In 1970 the station received around 88,000 letters. The number peaked in 1976, when listeners' letters reached 137,000. 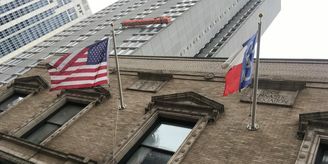 The international service continued in a similar form and intensity in the 1980s. In 1981 a Polish section was created, broadcasting one hour per day, and aimed at countering the pro-democracy Solidarity movement. Later the Polish programme became a part of Interprogram. This sorry chapter in the station's history ended in 1986. 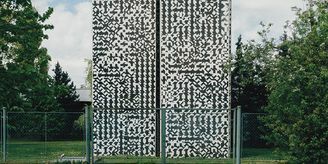 At the beginning of 1988 - 12 years after signing the Helsinski human rights agreement - Czechoslovakia finally switched off its jamming transmitters, which were used to block Western radio stations. It was a sign of the gradual thaw in the Communist bloc - Gorbachev's "perestroika".